Creative visualization is the power that can alter our environment and circumstances, cause events to happen, attract money, possessions, work and love, change habits and improve the health. It is a great mind power. It is the power behind every success. Creative visualization is the ability to use the imagination, see images in our minds and make them come true. If we add concentration and feelings, it becomes a great creative power that makes things happen. Used in the right way, visualization can bring changes into our lives. 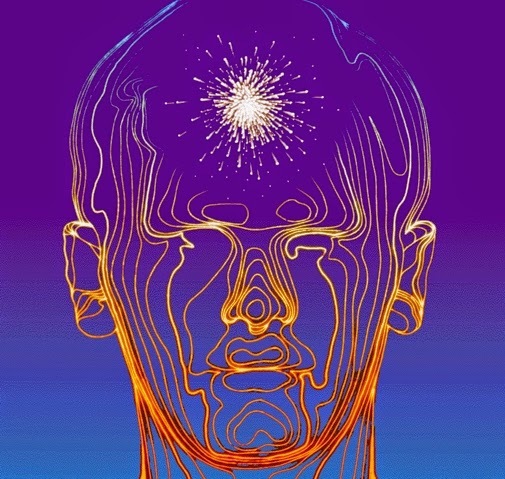 The thought is the matrix or blueprint; the feelings provide the energy, the "electricity". Thought is a power and has its effect on the material world. Thoughts, if powerful enough, travel from one mind to another. If we keep thinking the same thought, people in our environment perceive it and act on it, furthering, usually in an unconscious manner, the materialization of our desires. If you are naturally positive, then the way you approach and handle situations is such that attracts positive results. On the other hand, if you are fearful and negative, then you expect negative results, and behave, look, and talk accordingly. Then you reap troubles. We are part of the Omnipotent Power that has created the universe; therefore we participate in the process of creation. Bearing this thought in mind, there is no wonder that thoughts materialize. Stop a moment and think. You are part of the great Universal Power! Whatever concentrated thought you entertain long enough in your mind tends to materialize. Thought is energy. By having certain thoughts in our minds, and by concentrating on them and putting emotional energy into them, they become powerful. 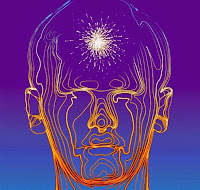 These thoughts induce some kind of pressure on the energy fields around us, causing them to move and act. The thoughts change the balance of energy around us, and in a natural way bring changes in the environment in accordance with them. According to the Indian philosophy "Advaita- Vedanta" which in the West is called "Nonduality", the world is just an illusion and is not real. Thoughts arise which "create" our world. We constantly think and rethink our habitual thoughts, thus creating and recreating the same kind of events or circumstances. This process reinforces our thoughts, which help to preserve the same "world" we believe we live in. By changing the tape or film, that is by looking at a different scenario - different thoughts, we create a different "reality". For us it is a reality, though in fact it is just a dream we call "reality". By changing our thoughts and mental pictures, we change our "Reality"; we change the "illusory" world we believe we live in. We are not employing magic or supernatural powers when creating and changing our life and circumstances. It is not something "Material" that we change; we only change our thoughts, which are the world. It is like dreaming a very realistic dream and then switching to a different dream. We are not awakening, just changing the dream. This explanation has to be read and reread and pondered upon in order to understand its full meaning. Rest assured that you can employ the power of visualization, even if you do not accept what you have just read or it seems too complicated or far-fetched. Yet, understanding and accepting the above, at least in theory, will help you achieve results faster. So why not change your dreams to something more satisfying? Think, meditate and listen to your intuition before you start. Ascertain that only good will result from your visualization. Sit alone in a quiet place, where you are not disturbed. Visualize the object or situation that you desire. See in your mind a clear and detailed mental image of what you desire to get or accomplish. Use in your imagination all the five senses, such as sight, hearing, touch, etc. Put feelings and emotions into what you are doing. Practice at least twice a day, about 10 minutes each time. Persevere in your action until you succeed. Entertain only positive thoughts, feelings and words. During the day, when negative thoughts and doubts arise, replace them with good positive thoughts. As each negative thought comes, look at a positive one instead. Keep an open mind, so that when the opportunity to materialize your desire arises, you will recognize it and take advantage of it. After concluding your visualization session, say with concentration and earnestness: "Let everything happen in a harmonious and favorable way for all involved".